AS: The new Nike 2012 jerseys have been arriving at retail stores the last couple of weeks, and they’re proving quite popular among customers who are seemingly drawn to them like magnets to touch and feel. Can you give us an industry perspective as to why all the fuss? RJ: From the enthusiast’s side, we (Mitchell & Ness) started carrying the Wilson, the Russell Athletic jerseys back in the late ‘80s to the‘90s and the early 2000s. Apex, Champion, Wilson, Russell Athletic; probably out of all of those jerseys, back in say the ‘90s, the Bills era (1990-93), the Champion jersey was probably the best constructed jersey. It had the Spandex inserts on the side. The screen print numbers and names on the back were top notch. I opened the box on these Nike jerseys when they arrived about three weeks ago at a store called Pro League Authentics in Philadelphia, and it was probably the nicest, best constructed football jersey that I’ve ever seen. AS: What made that so? RJ: It’s constructed well. Almost a complete different redesign of the standard NFL jersey. It looked like, quite frankly, that 80% of the jersey was actually spandex. The content is actually anywhere from nine to 12 percent spandex. The four-way stretch twill for the numbers was something different, and the two inch names on the back are new also. Most manufacturers for many years used a three inch name. Just the quality of the jersey (stands out). The neck trim, the tagging and the various sleeve striping makes it a top quality shirt. Probably the best that I’ve ever seen in my 25 years in the industry. AS: You mention tagging. Another unique aspect that has been discussed is the tagging on these jerseys. What makes the tagging different? RJ: On the inside tag, the neck label so to speak, each jersey, not just each team, but each jersey has its own serial number. We believe that it has a direct correlation with what’s happened in the industry, unfortunately, with the bootlegging and counterfeit jerseys. That’s what’s nice about these jerseys, they are extremely hard, because of the quality and the construction themselves, to be counterfeited which helps retailers around the country. AS: What’s the upcoming schedule to release the jerseys to retail stores and specifically for Philadelphia since you are based there? RJ: The jerseys started to arrive (in stores) the first week of May. The style that’s currently available is the team color jerseys. Later on in the (summer), probably the first week of September, the white one’s are going to be available. 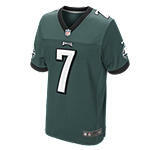 Eagles jerseys I anticipate are going to be here the second week of August. The Eagles didn’t change that much except for the new construction of the Nike jersey, and any true fan of the Eagles would like to purchase one. It’s the first year they’re with Nike (it’s Nike’s second incarnation with some NFL teams from the mid 1990s) and it’s a beautiful shirt. 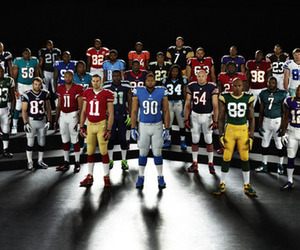 AS: Lastly, please detail the entire product line of Nike NFL jerseys. RJ: When I used to order the jerseys by Champion, or Wilson, or Russell Athletic, there were usually two available. There was a replica and also the authentic. And, in Russell’s case, they actually had a youth jersey as well. This year, Nike has added an extra jersey as well; so we have a "Game Jersey" and it’s kind of a misnomer. The “Game Jersey” is actually the replica. The next step up from that is called “The Limited.” That would be comparable to the NBA’s “Swingman Jerseys,” kind of like a replica of an authentic. 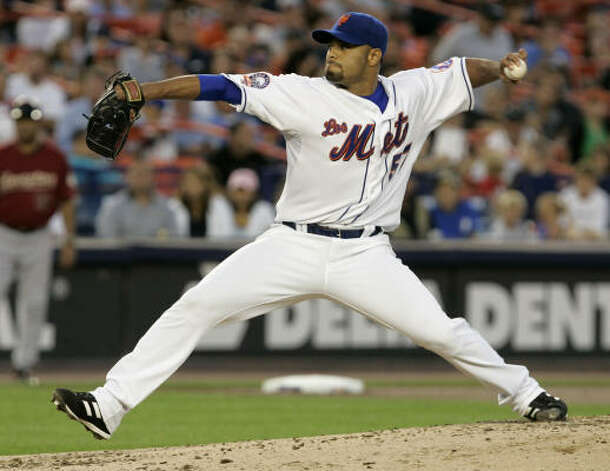 The return of Los Mets: As they did in 2008, the Mets will don Los Mets jerseys twice this season at Citi Field, the first time July 5 against the Phillies, then again August 24 versus the Astros. These jerseys are available through the store, please call for details. The Dbacks go purple: On September 15 in a game against San Francisco at Chase Field, Arizona will “throwback” (certainly using the term loosely) to 2000 and take the field in its purple jerseys worn from the team’s inception in 1998 through 2002, the winning look selected in a fan vote held in the off season. Want one? Call the store for details. 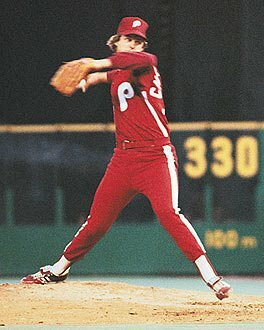 Authentically Speaking Trivia Time: Who was the opponent at Veterans Stadium when the Phillies wore all-burgundy jerseys ("Saturday Night Specials") on Saturday, May 19, 1979 for the first and only time? Answer tomorrow.